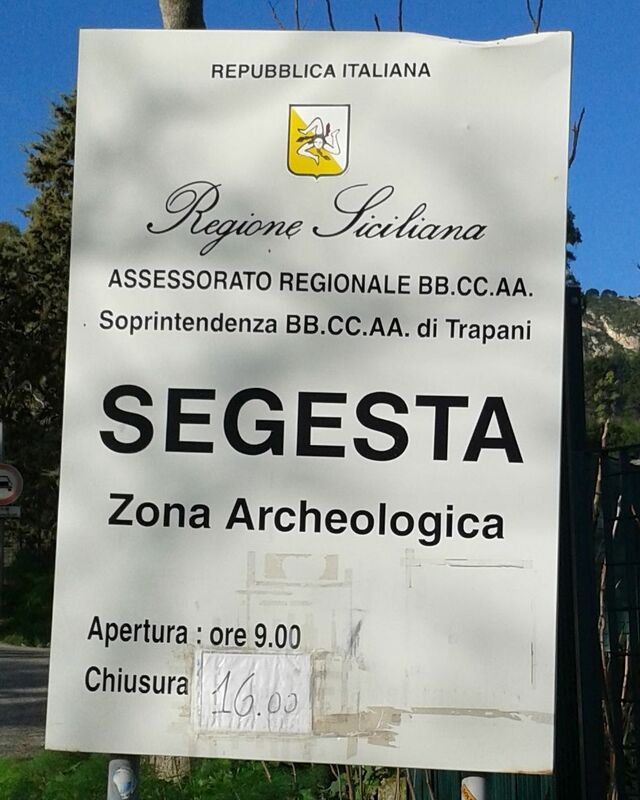 PLANNING A DAY TRIP TO SEGESTA FROM PALERMO? Segesta The distance between Palermo and Segesta is 78 km. ( 48.438 Miles ) One way. PLANNING A DAY TRIP TO SELINUTE FROM PALERMO? The distance between Palermo and Selinunte is 116 km. ( 72.036 Miles ) One way. 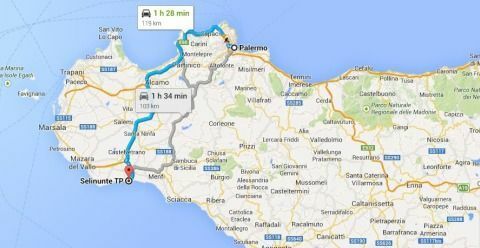 PLANNING A DAY TRIP TO MOZIA (MOTHIA - SAN PANTALEO) FROM PALERMO? 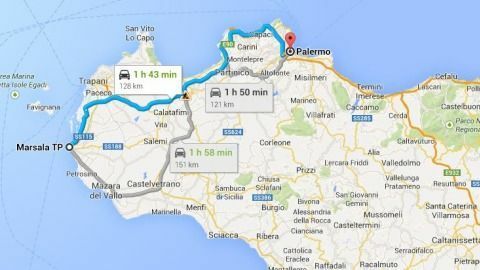 The distance between Palermo and Mothia is 81 km. ( 50.301 Miles ) One way. PLANNING A DAY TRIP TO MARSALA FROM PALERMO? PLANNING A DAY TRIP TO ERICE FROM PALERMO? 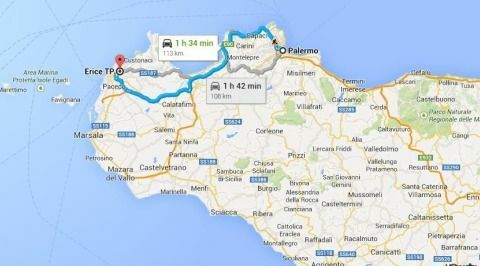 How to get to San Vito lo Capo from Palermo ? How to get to Riserva dello Zingaro from Palermo ?